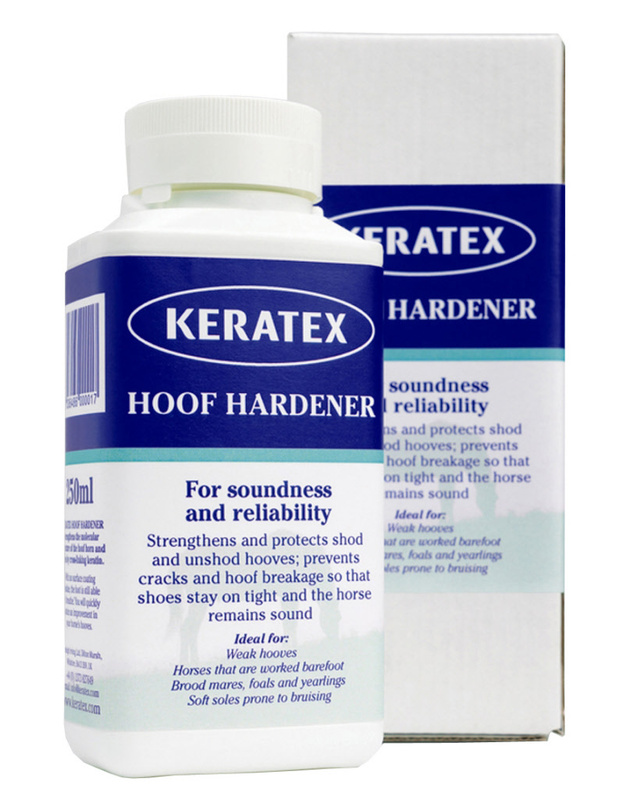 Use to strengthen and protect both shod and unshod hooves. Does not seal the hoof, thereby allowing the hoof to breathe and function naturally. Improves and strengthens the molecular structure of the hoof wall and soles. Strengthens poor quality hoof walls so shoes stay on tight, and allows lightly worked horses to remain sound without shoes. Apply to clean, dry hooves with brush provided.Can be used on all hoofed animals, including cattle and sheep. *"Not to be used on animals for human consumption."